TrayStatus 2.0 is now available for download! This version includes an update interface for managing the settings, a fix for an issue with disk activity notifications in Windows 10 PT-BR, general support for Windows 10, and a few performance and stability fixes. We're happy to announce that iTunesFusion 2.4 is now available for download! This version has a few changes and some minor bugfixes. 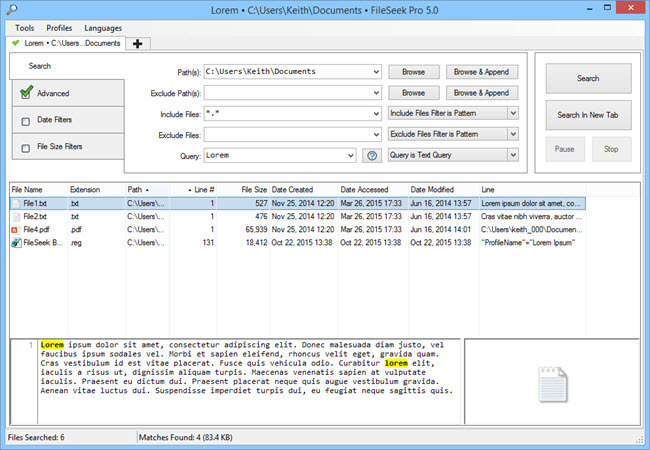 We're happy to announce that FileSeek 5.0 is now available for download! This release features a slightly modified interface, support for Group Policy (with ADMX templates for almost every setting), and a bunch of other improvements as well! We encourage everyone to update to the new version today. We'd like to send out a big thank you to everyone who helped beta test FileSeek, and to the translators who worked hard to make FileSeek available in their native languages! Congratulations to our top contributing members for October 2015! They have been hard at work submitting, rating, and discussing images on WallpaperFusion, and have racked up some impressive reputation scores along the way! 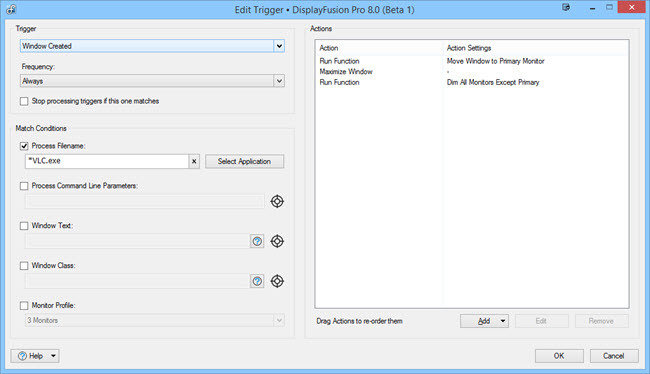 DisplayFusion 8.0 Beta 1 Available, Now with Triggers! We're very excited to announce that DisplayFusion 8.0 Beta 1 is now available for download! We don't normally do a news post for Beta releases, but this one has a huge new feature that we're hoping to get some feedback on. We've added a new feature called Triggers. Triggers is essentially a much more comprehensive version of Window Location, and as such, it replaces the existing Window Location feature. DisplayFusion 8.0 Beta 1 will import your existing Window Location rules, so anything you've setup already shouldn't be affected. If you do notice any issues with the imported rules, please let us know. The installer and auto-updater automatically backup your settings, so if anything bad happens to your Window Location rules, you can roll back to 7.3.1 and restore your settings from before the update. You can now have Trigger rules run on more than just window creation. Your rules can now trigger when a window is created, or focused, and also when DisplayFusion starts or exits. We're planning to add more trigger events in future betas as well. Rules can now match based on window text (window title) and window class, in addition to process, and process command line parameters. You can mix and match them to make them as generic or as specific as you like. As always, you can use asterisks in the process path to match multiple processes with the same rule. Rules can now be limited to a specific Monitor Profile, allowing you to have separate rules for different monitor configurations. Rules can now perform multiple actions, instead of just one, allowing you to do things like move to a specific monitor and set the window as "always on top." For more details on the new Triggers feature, please see the Working with Triggers how-to guide. As always, we love to hear feedback on the beta versions, and to help out whenever you run into issues. If you have any questions, problems, or feedback with the Triggers feature (or any other features), please contact us through the website form or by using the Help > Support Request button that's located on the lower-left of every DisplayFusion window. FileSeek ADMX Templates (v5.0+) are available for controlling the settings below via Group Policy in Active Directory environments. Click here to download the latest version of the ADMX templates. Note that while v5.0 was the first to support Active Directory Group Policy, we add new policy settings with each new version of FileSeek. 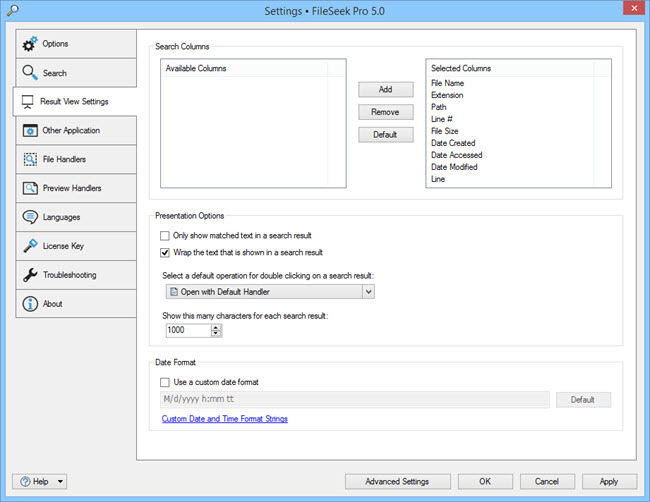 For full compatibility with the latest FileSeek ADMX templates, please make sure your client machines are running the latest version of FileSeek. We encourage everyone to update to this new version today to take advantage of these improvements. If you've already purchased LogFusion, it's a lifetime license, so you can upgrade to this version at no cost! If you would like to see a complete list of all the changes, please visit the LogFusion Change Log. Congratulations to our top contributing members for September 2015! They have been hard at work submitting, rating, and discussing images on WallpaperFusion, and have racked up some impressive reputation scores along the way! We're very excited to announce that DisplayFusion 7.3.1 is now available for download! This release fixes a few issues that were discovered in 7.3. We encourage everyone to update to this new version today to take advantage of these improvements. If you've already purchased ClipboardFusion, it's a lifetime license, so you can upgrade to this version at no cost! If you would like to see a complete list of all the changes, please visit the ClipboardFusion Change Log.